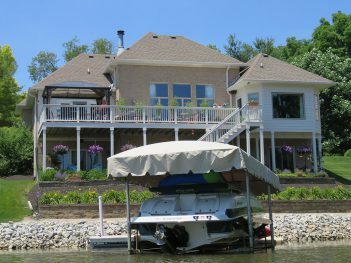 Background Info: This 1998 home on Geist Reservoir was the perfect place for the homeowners to settle down in retirement. They completed their basement and kitchen remodel last year. The outdoor living expansion was the last piece of the puzzle to complete. 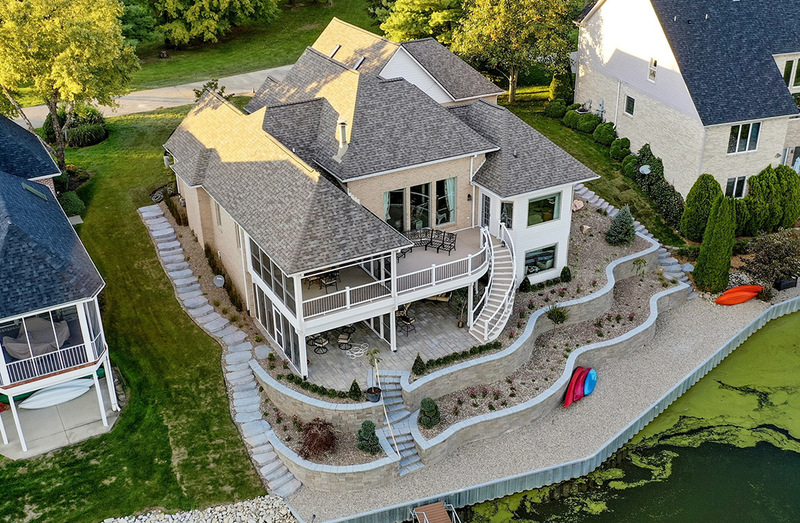 The owners wanted to create more space for guests, update their guest and master bathrooms and make their outdoor living space easier to maintain and take advantage of the spectacular lake views. 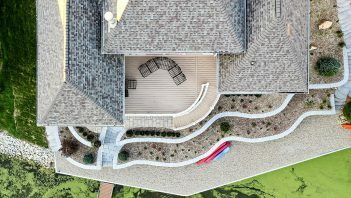 Focusing on the exterior, the goal was to make a more functional and appealing outdoor living space for the homeowners to entertain their family and friends. One of the largest changes came from replacing the deck with more durable Trex composite decking, railings, lighting and rain-escape system. These materials are easier for the homeowner to maintain. A new covered porch roof was extended to cover part of the upper deck and a new screened porch was added. The new custom exterior staircase is the focal point of the space. Its curved design adds visual appeal to the home. 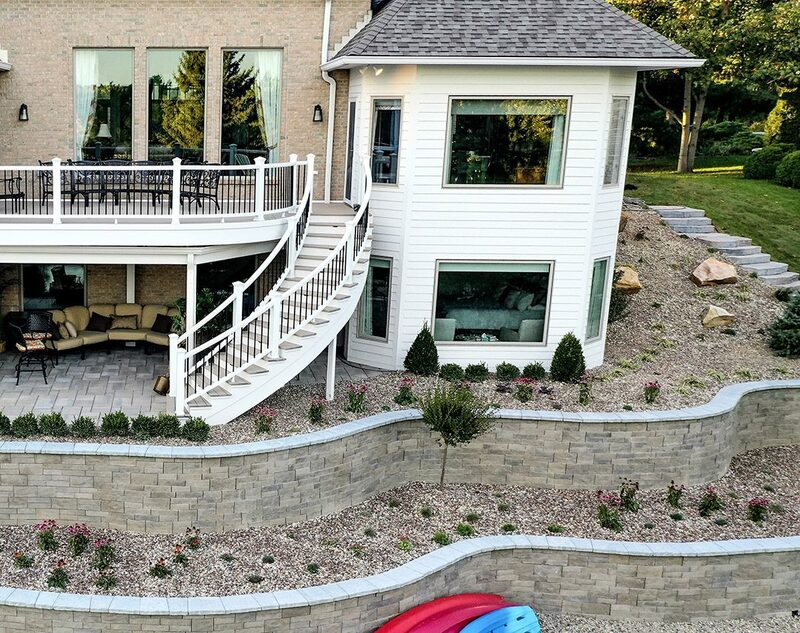 The concrete patio was replaced with a larger paver patio, retaining walls and terraced landscape beds. For more details on this project visit our website and social media pages.